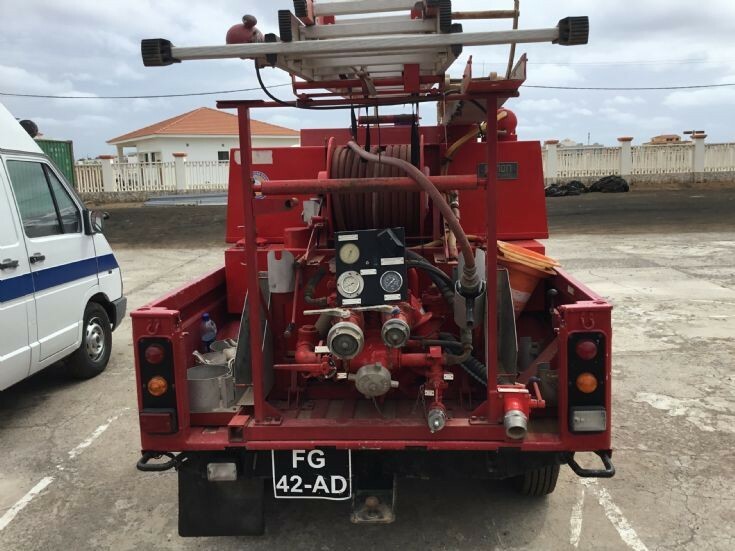 Godiva pump, formerly located at Sal airport Cape Verde. The same pump was often front mounted on Land Rovers, which left more room for additional equipment and/or crew members in the rear. Several examples of these are on this site, along with a few Austin Gypsy pumps - which also had a front mounted Coventry Climate 500 gpm pump. Added by Rob Johnson on 03 March 2019.